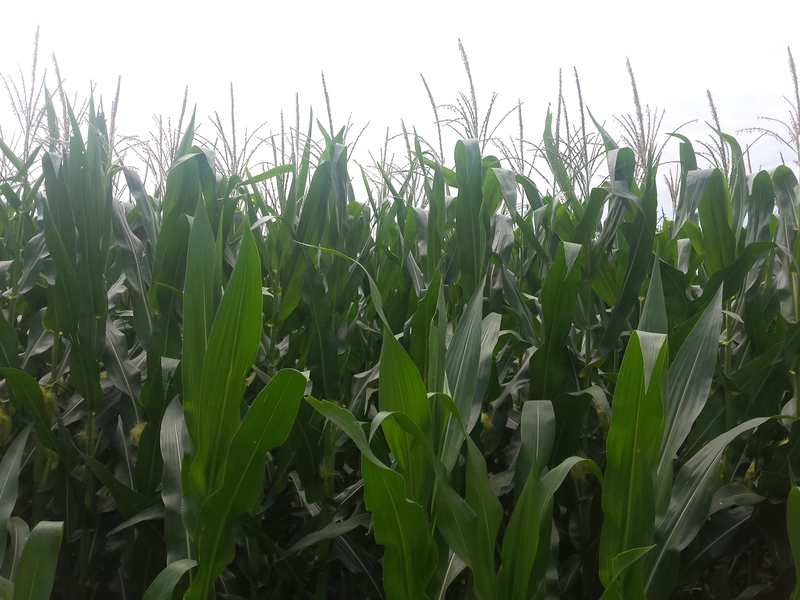 Timely rains in some areas of eastern Nebraska have benefitted corn, such as this field in Dodge County. That's not the case for a large area of Nebraska where drought conditions are increasing. Timely control of volunteer wheat and other weeds is key to managing yield loss risk in your 2018 crop. Yield-limiting risk factors affected by weed control include wheat streak mosaic and other diseases, insects (wheat stem sawfly and disease vectors), moisture loss, and increased weed seed production. A strategy combining well-timed herbicide applications, split treatments, and effective cultural practices is key to managing weeds in wheat to reduce soil moisture loss and the weed seed bank. This story addresses what to consider as well as particular weed challenges in wheat. When developing a post-harvest marketing plan, your objective should be to obtain a higher price than the cash price offered at harvest. This article discusses five strategies to post-harvest market winter wheat. Figure 1. A stripe rust susceptible (left) and resistant variety in a state variety trial in southeast Nebraska on June 3. This year the onset of stripe rust was earlier in eastern Nebraska than in western Nebraska, allowing it to develop to levels that could be scored in state variety trials in Washington, Saunders, and Clay counties. A table provides ratings for a number of varieties and lines at three sites. Scouting is urged for Western bean cutworm in corn as moth flights are active and particularly heavy in south central Nebraska this week. This article includes trapping reports and recommendations for scouting and treatment. Several diseases, as well as other problems that look like diseases, have been confirmed in corn samples from around the state. These diseases can be difficult to differentiate from each other and from abiotic causes. This story offers photos and brief descriptions to aid your diagnosis before making treatment decisions. Figure 1. Control of glyphosate-resistant common waterhemp with Valor XLT applied PRE followed by Liberty in Liberty Link soybean (Photos by Amit Jhala). Liberty has revised its label to provide for an increased application rate in corn and soybean. View the new label rates for corn and soybean with a cumulative maximum per year of 87 fl oz/acre for either crop.